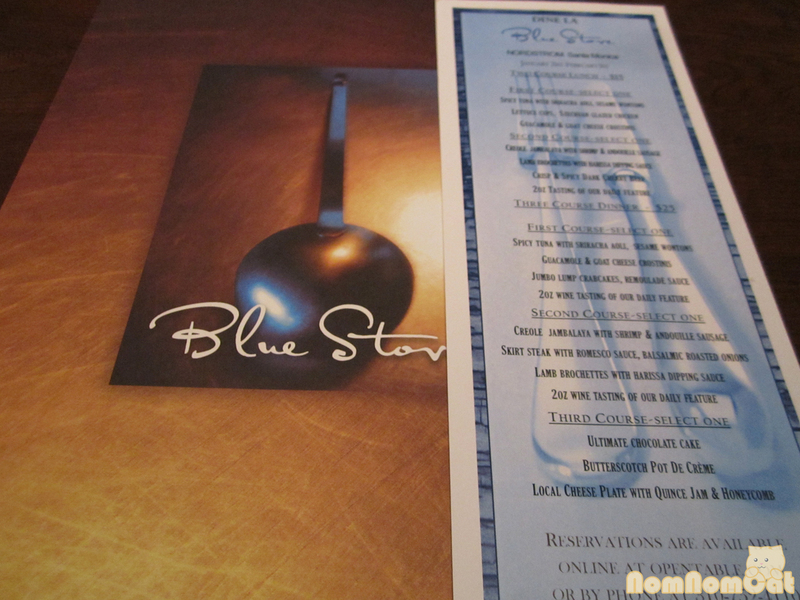 For dineLA Winter 2013 (I know, I’m playing catch-up with my entries), C and I decided to check out Blue Stove for lunch. Blue Stove offered a two-course lunch with a tasting pour for only $15/person. Situated among the clothing racks inside the Nordstrom at Santa Monica Place, the restaurant had a quaint wine bar sort of theme going on. We were seated immediately and received prompt, friendly service from our server. Starter: we both ordered the Spicy Tuna with sriracha aioli on crispy wontons. Each hor d’oeuvre-sized bite was also topped with chopped cucumber and a generous mound of masago (cod roe). 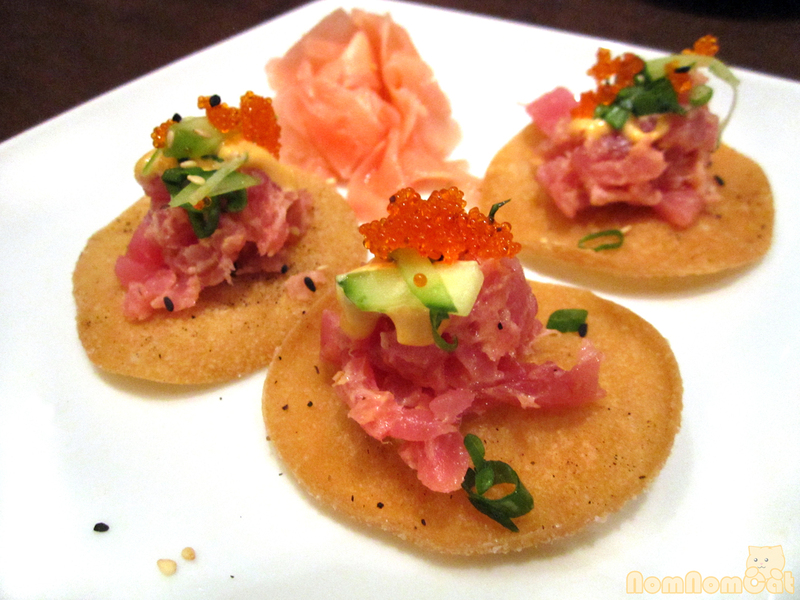 It was an interesting take on one of my favorite appetizers, spicy tuna on crispy rice. The sriracha aioli could’ve used more kick though. 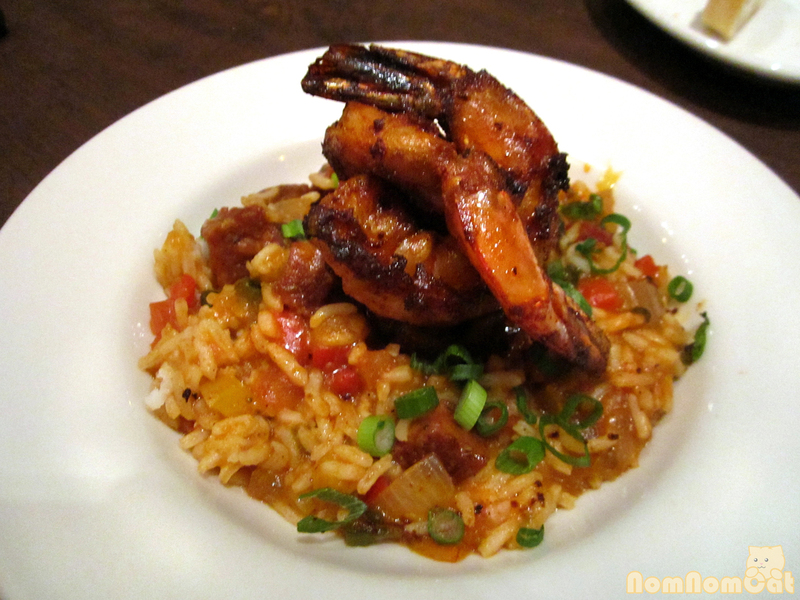 Entree 1 (a): I had my eye on the Creole Jambalaya with shrimp and andouille sausage since we first started perusing menus to select our dining destination! The sausage and spices gave the rice a great kick and the three well-seasoned and beautifully grilled shrimp had awesome flavor. I was pleased with this selection and it paired perfectly with the 2 oz pour of a crisp, refreshing California Chardonnay. 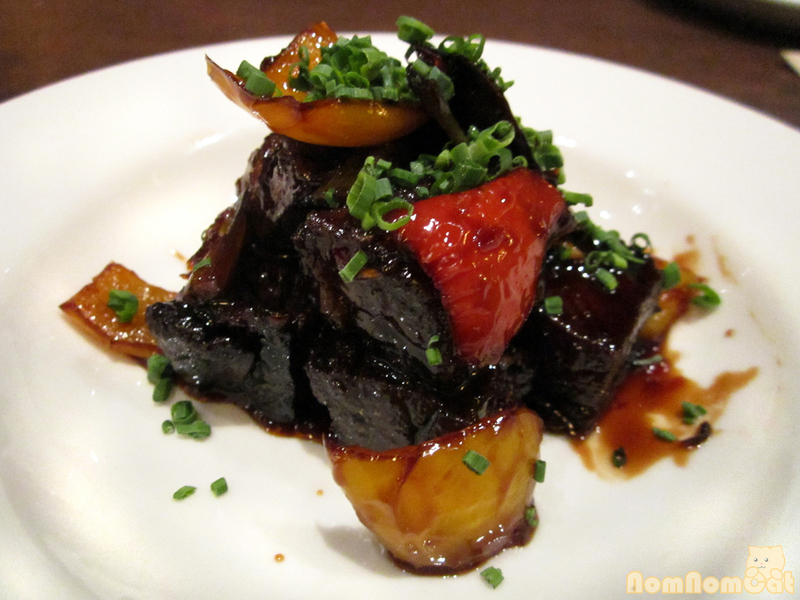 Entree 2 (c): My dining companion selected the Crispy & Spicy Dark Cherry Beef. She said the sweet and spicy flavors of the glaze were delicious but the texture of the beef was chewier than she would’ve preferred. I imagine her beef dish paired well with the Italian Barbera she selected for her tasting pour. Dessert was not included in the $15 dineLA lunch offering, but we were enticed by our server’s description of the Ultimate Chocolate Cake, consisting of two layers of moist chocolate cake sandwiched by a filling of Nutella, drizzled with a rich chocolate ganache and topped with a dollop of fluffy chocolate mousse. 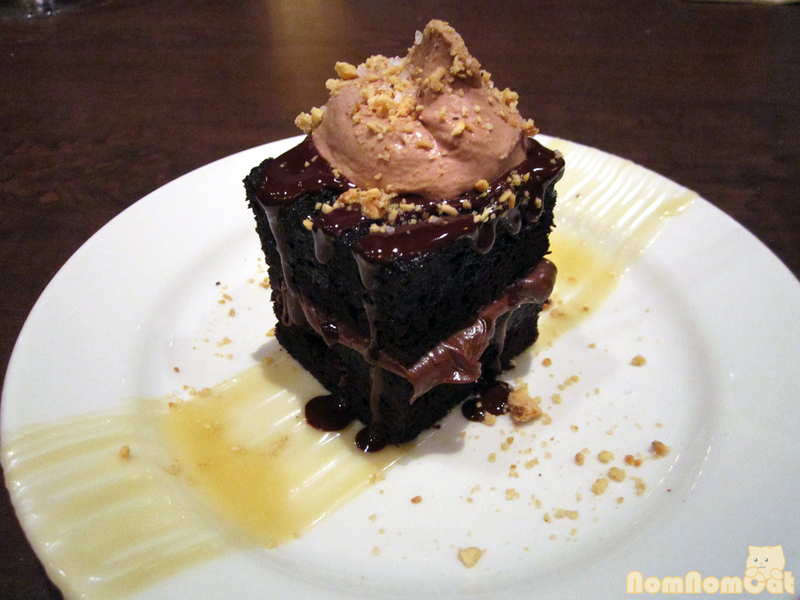 Oh so decadent and very, very good. The sprinkling of fleur de sel added a great contrast to all of the sweet elements. All in all, we enjoyed our meal. Honestly, its department store location is a bit of a turn-off, but for a casual tapas and wine experience, I could see myself returning to try items from their regular menu. Its mall location did have one important advantage — ample parking!